Part of the adventure of Sun Valley is getting around. You won’t need your car, because it’s just a short stroll to just about anything you could want to see, do or eat. 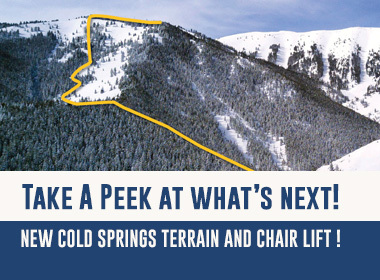 Or you could hop on the Mountain Rides complimentary bus service for transportation throughout the Wood River Valley, including round trips from the Village to both Dollar and Bald mountains and to the towns of Ketchum and Elkhorn Springs. ​Sun Valley is served by Hailey's Friedman Memorial Airport (SUN). It's located 14 miles from the resort and is easily accessible from the gateway cities of San Francisco (SFO), Seattle (SEA), Los Angeles (LAX), Salt Lake City (SLC), Denver (DEN), and Chicago (ORD). 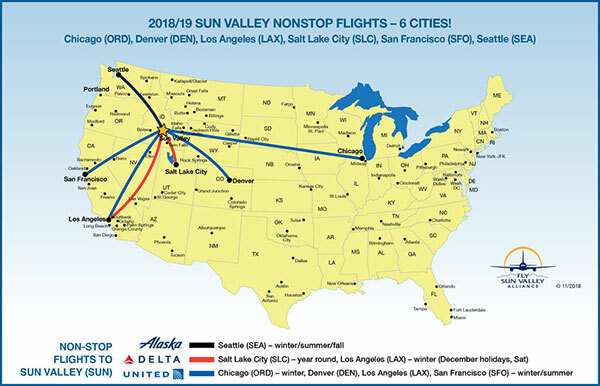 These cities are served by most major airlines and are met by Sun Valley’s connecting carriers: Alaska Airlines, Delta Connection (Operated by SkyWest) and United Express (Operated by SkyWest). Sun Valley Resort offers courtesy transportation for our guests staying at the resort from/to Friedman Memorial Airport and the Sun Valley Resort. 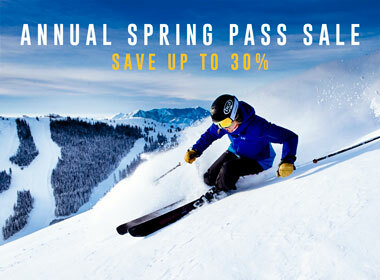 For more information contact Bell Service (208) 622-2122 or e-mail svshuttle@sunvalley.com. Reservations must be made to guarantee a seat upon arrival. Nonstop service to Sun Valley from Seattle. To book online, visit www.alaskaair.com. CRJ 700 jet service runs daily. 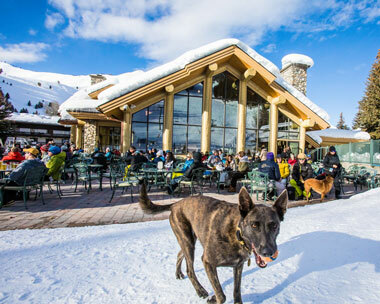 Daily shuttle service between Boise Airport (BOI) and the Sun Valley Lodge via Sun Valley Express. Advance tickets may be purchased by calling Sun Valley Express (877) 622-8267 or going online to www.sunvalleyexpress.com. Tickets also may be purchased on the bus at time of departure on a space available basis. Driving to Sun Valley Resort offers an enjoyable ride through high desert and picturesque farmland with very little traffic. Head east on I-84 41 miles to the second exit for Mountain Home. Turn left on Hwy. 20 (a good spot for rest or refreshments). Continue on Hwy. 20 for 84 miles to the Hwy. 75 junction. Turn left on Hwy. 75 and continue for 25 miles to Main Street in Ketchum. Turn right (east) on Sun Valley Road. The Resort is one mile ahead. Take I-84 east 87 miles to the Bliss Exit. Take Hwy. 26 toward Gooding and Shoshone, about 27 miles. Turn left on Hwy. 75 at Shoshone. Continue 54 miles to Ketchum. Turn right (east) on Sun Valley Road. The Resort is one mile ahead. Take Airport Road east. Road turns into Washington, then Shoshone Street. Continue through downtown Twin Falls to the Five-point Intersection. Turn left on Hwy. 93 (Blue Lakes Blvd.). Continue to the Perrine Bridge which crosses the Snake River Canyon. Continue on Hwy. 93 which will turn into Hwy. 75 at Shoshone. Continue 54 miles to Ketchum. Turn right (east) on Sun Valley Road. The Resort is one mile ahead. Sun Valley Resort currently hosts 3, level-2 electric vehicle charging stations. We have 2 Tesla Wall Connectors that deliver up to 64 amps of power. We also have a universal J-1772 station that can charge all electric vehicles and delivers up to 32 amps of power. All of our stations are available to our guests and patrons, just check in with the front desk. Rental cars are now available at the resort from Enterprise Rent-A-Car for roundtrip and one way rentals, as well as drops-offs from other locations. Reserve online with Enterprise Rent-A-Car or call (800) 261-7331. 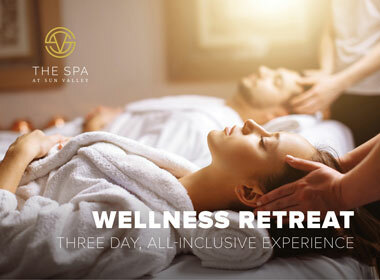 You may alo inquire with the Sun Valley Concierge (208) 622-2097. Sun Valley is a complete walking village, where automobiles are unnecessary. Condominium units are located within easy walking distance of the Sun Valley Village, but complimentary bus service is also available. The Mountain Rides Transportation Authority system provides free transportation in Ketchum and Sun Valley, including continuous round trips from the Village to both Dollar and Bald Mountains and to the town of Ketchum and Elkhorn Springs.